Be the envy of all your friends and family with our new exclusive merchandise. 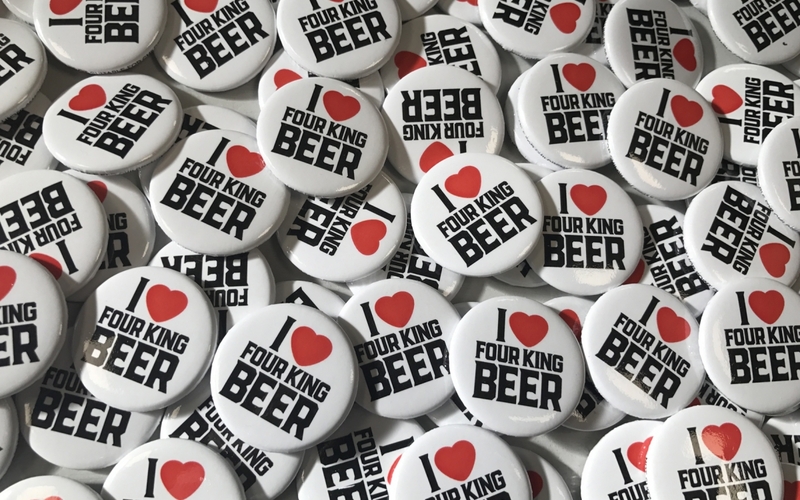 All you have to do is come along to our open day on the 27th May, try our excellent beers and get a free four king badge. Get in touch and get your name on the guest list. We also have some FREE tickets for the Stockport Beer and Cider festival, where the Four Kings Brewery are sponsoring the Saturday night event. Our beers will also be for sale throughout the festival, which starts on Thursday 1st June.